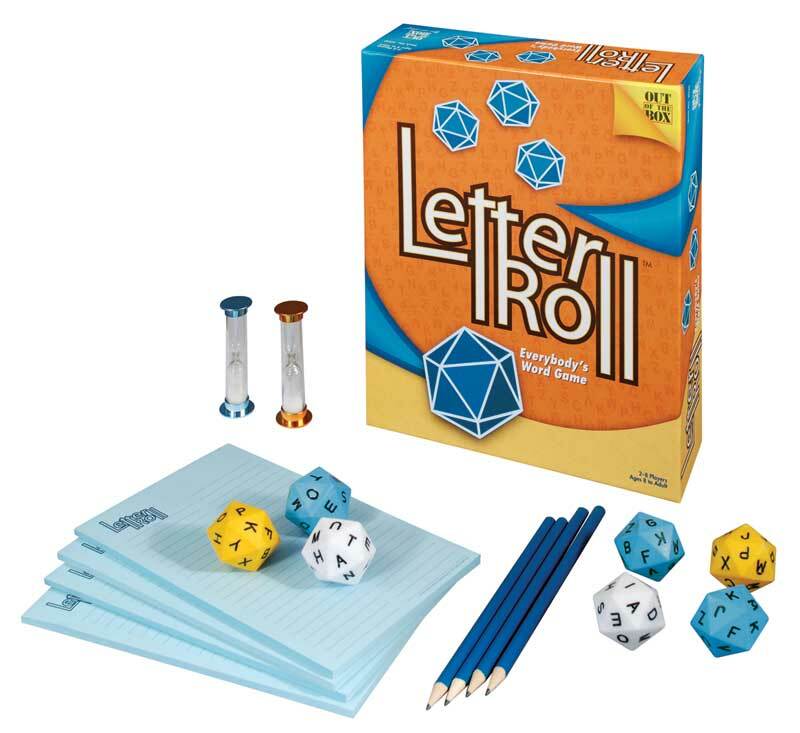 Thanks to Out of the Box Games for providing me with Letter Roll to review! For example.. If your three letters are HCK then you make as many words that you can that contain those 3 letters, like Hockey, Choke,Check etc. It's so addicting. What I like best is that no 2 games are ever the same.The possibilities are endless because it is almost impossible to roll the same 3 letters.Are Old favorite game was Scattergories but I believe this may have topped it! I recommend Letter Roll to anyone. It is a fun game for anyone ages 8 and up. and you can have anywhere between 2 and 8 players. Letter Roll can be purchased online from Out of the Box Games for only 24.99. I get to give 1 of you any game of your choice from Out of the Box Games . For your mandatory entry let me know what games look like fun to you! Disclosure: Review item was provided to me. This review was entirely my own opinion. Giveaway Ends on April 25th, 2010. I really wanted to thank you for a great comment on my blog. I am soooo looking forward to hearing more from you. I love the look of this game. It really sounds like fun and I'd love to win it. I so wish I had more time (much more time) for playing something other than Candyland...although I love, adore my daughter, there's only so much Max and Ruby one can handle! I think the Super Circles is a game we'd enjoy at our house! following out of the box @sparkily! The "Not Much" Knowledge Party Game looks like a lot of fun! Entered the Crazy Dog Giveaway. Entered the Eco Zip Giveaway. Entered the Snorg Tee's Giveaway. Entered the Country Bob's Giveaway. I really like the games: Zenbenders and Mixup. I follow Out of the Box on Twitter. The game Easy come easy go looks like fun. I would want to try Squint Junior and TUTANKHAMEN as these are games I think would be fun to play with my kids. Thanks! I entered your Walmart gift card giveaway. Thanks so much! cineplexity sound fun. My dh is a movie buff so he'd enjoy it. I entered the Skoy Cloth giveaway. The NINJA versus NINJA game looks fun. My 7 year old will love it. He likes to do his Ninja tricks and show off to the girls across the street. I entered your $50 Walmart GC giveaway. I entered the Crazy Dog T-Shirt's giveaway. I'd love to win Apples to Apples. I too, would like the Letter Roll or Word On The Street. Also entered to win the Skoy Cloths. The wallamoppi game looks like fun. I think I'd like to try Party Poopers. I follow OOTB Games on Twitter. I entered your charm bracelet giveaway. I would love to check out Pirate Pirate! I'd love to play Party Pooper. I entered Country Bob's sauce giveaway. I would like 10 Days In The USA game. 1. I entered Charm Factory giveaway. 2. I entered Charm Factory giveaway. I think Rock looks like a lot of fun! Wallamoppi looks like so much fun - a game and building blocks in one - my son would LOVE it!! The chain game looks like fun. I like Word on the Street. I think 7Ate9 looks like a ton of fun!